The agritourism facility has been operating since 2008 and is made up of three beautiful stone country houses literally immersed in the green mountains of the Bazzano Superiore hamlet, near Spoleto, in the Umbria region. The agritourism resort, thanks to its location, is particularly suitable for those who want to spend a totally relaxing holiday in contact with nature, in a place where the view from all sides only offers green woods and some small farmland with grazing herds. Its location also makes it a great starting point for organising visits to picturesque Umbrian towns like Spoleto (15 Km), Foligno (33 Km), Perugia (73 Km), Assisi (57 Km), Gubbio (98 Km) or Orvieto (115 Km) and Todi (60 Km). 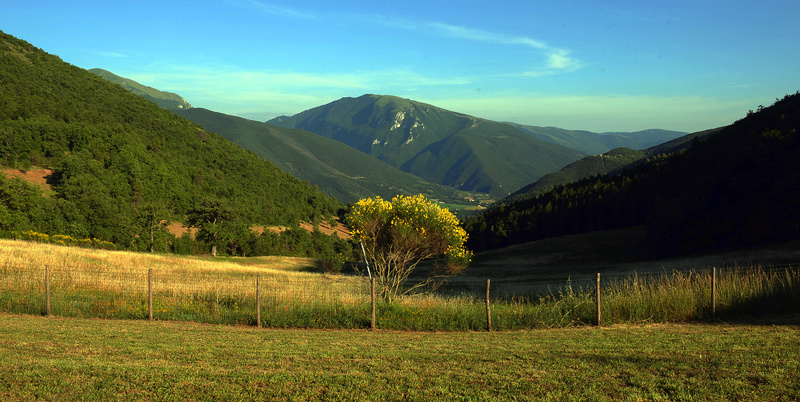 Other interesting itineraries are the routes of Valnerina, where you can visit ancient medieval villages such as Cascia (47 Km), Norcia (35 Km), Vallo di Nera (11 km), Castel San Felice (7 Km), Scheggino (11 Km) or the famous Marmore Falls (40 Km).